Airports can be some of the most secure places with many people, surveillance cameras, and layers of security measures watching everything, 24/7. Many headlines are beginning to say things like “this summer will be the busiest ever for air travel.” So before you book your trip and start to pack, make sure you’re updated on the latest TSA rules and regulations to make sure your flying experience is stress-free. You’ve planned your summer vacation ahead of time (just like we suggested), you’ve bought your airline tickets, and the day you fly to your long awaited and hard-earned vacation is here! You probably know all the tips like how you should buy your ticket as soon as you can for the best price and chose an earlier flight to avoid delays, but are you caught up on the latest airport security regulations? Each airport differs to a degree regarding their tips for when to arrive for your flight and how long security might take. Atlanta has the busiest airport in America, so if you’re flying out of or have a layover in Atlanta, be sure to check their website for the latest info. But even smaller and much less busy airports than Atlanta can experience large rushes of people and create delays at security and beyond. 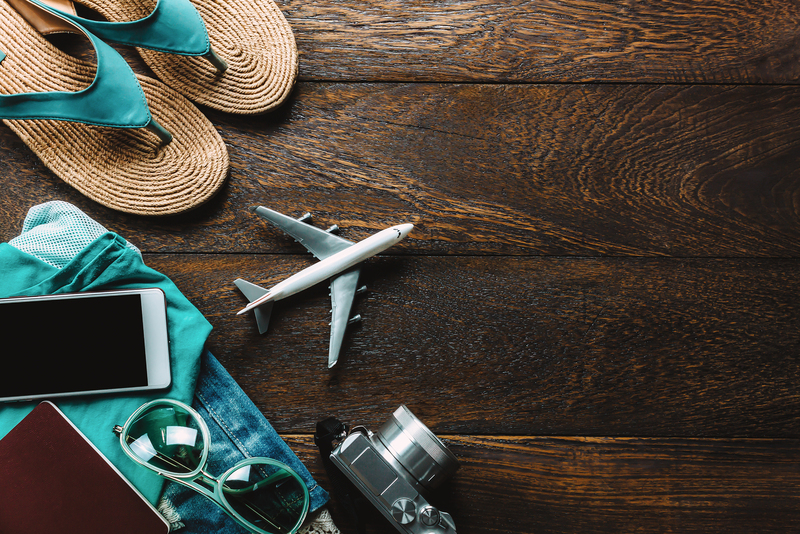 Whether you overpack and check your luggage or pack only the essentials and carry on, these are the most updated regulations and what you can expect regarding your luggage this summer and how you should pack the summer essentials: deodorant, sunscreen, and liquids. Liquids greater in quantity than 3.4 ounces aren’t allowed at the security checkpoint. TSA allows all passengers to bring a quart-sized bag of liquids, aerosols, gels, creams, and pastes in your carry-on luggage. Pack all liquids in the quart-sized bag and place it in an easily accessible place as security will ask you to separate this bag from your other carry-on items. Liquids greater than 3.4 ounces are allowed to be packed in checked luggage including beer, wine, and liquor. For deodorant, it’s good to make a note that stick deodorants aren’t limited to the 3.4-ounce rule, but gel and spray deodorants are. A common misconception is that you can’t bring food through security, but solid food items are allowed. Anything from donuts and pizza to fruits and veggies are permitted to pass through security. Be prepared for TSA agents to also ask you to separate food items from your other carry-on luggage as it can obstruct clear views in the X-ray machine. For a comprehensive list of what you can and can’t pack, click here for TSA’s alphabetical list, which may or may not include artificial skeleton bones.